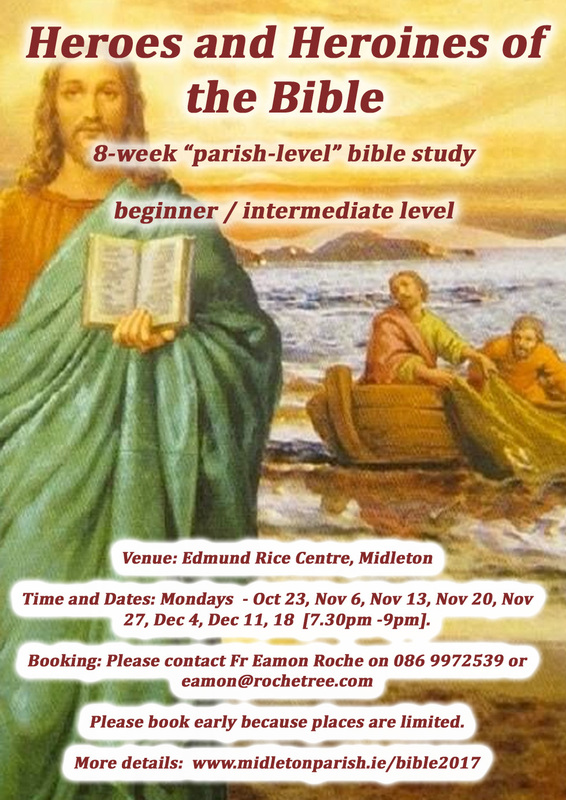 This 8-week bible study programme is a “parish-level” programme and so is for people of faith at “beginner” or “intermediate” level of biblical knowledge but will be rewarding for anyone who wants to expand their knowledge of the bible in a relaxed atmosphere. Course Director: Fr Eamon Roche, CC Midleton. Monday nights 7.30-9pm. Beginning Oct. 23rd. Contact Fr Eamon on 086 9972539 to book your place.